Fasan Jäger , German for Pheasant Hunter, is a friendly and inviting upland preserve located in the Saginaw Bay region, just south of Midland and just west of Freeland. In 2012, after a couple of years of raising pheasants and Chukars, Gary Shaffner decided to open a full-fledged upland hunting preserve within 80 acres of privately owned land with the help of his dad Curt. Without his help this would not have been possible. The result, is a comfortable, fun, and safe atmosphere where friends and family can build wonderful hunting memories together. 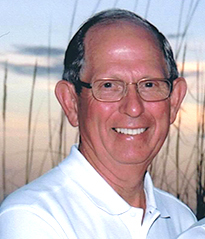 Gary has been a lifelong resident of Midland County. 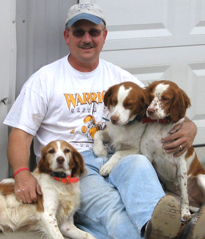 For the past 12 years Gary has been teaching Welding and Building Trades at Bullock Creek Schools. He obtained his undergraduate Degrees from Central Michigan University & Michigan State University. In 2008, he obtained a Master’s degree in Educational Leadership from Concordia University. He enjoys Hunting and the outdoors. Curt was born and raised in Midland, Michigan. He Attended Ferris State University; formerly known as Ferris College. He then Transferred to Central Michigan University where he earned an Education Degree in Industrial Arts. In 1967, Curt was hired at Meridian Public Schools where he taught Building Trades, Welding, Wood Shop and General Shop. During this time Curt was also a Township Supervisor for Ingersoll Township in Midland County. Curt held his public office for 35 years beginning in 1975. After 30 years of teaching at Meridian High School, Curt retired in 1997. He now spends his time farming and taking on several construction projects. Curt also spends many hours here at the Bird Preserve making improvements and enjoying this land and farm. 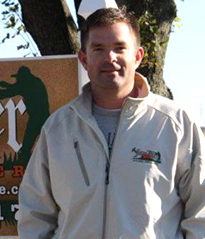 Thanks to his many efforts Fasan Jager Upland Preserve, continues to improve and grow, each year! Curt is married to Barb (Ellis) Shaffner they have three children Rita (Budde), Gail (Jeffery), and Gary C. Shaffner. Curt and Barb have been Married for 51 years respectably and have lived in their family home since 1970. They even find a few months each year to relax in Florida. I feel our hunting future is our youth, teach them to hunt, you won’t have to hunt for them later in life. I feel we need to thank Vets for their service, sing the National Anthem with our hand over our hearts, stand and give applause when the Vets are walking in a parade.